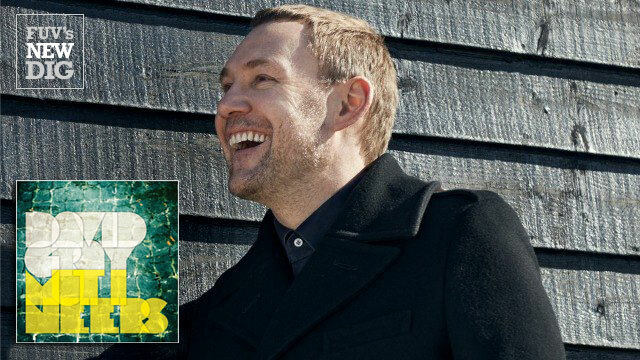 It’s always a pleasure to hear new music from British singer-songwriter David Gray. Coming four years after 2010’s Foundling, Mutineers has arrived, reminding us once again of what makes David so special. It’s been 21 years since David quietly introduced himself with his debut album, A Century Ends. It was a humble start for David as he struggled to find a large audience for his first three albums. But that changed in 1998, when his White Ladder album topped the British album charts and went platinum here in the U.S. David now presents his tenth studio album, Mutineers. David sought to do things a bit differently for this latest work, and he made a conscious effort to get out of his comfort zone by altering his creative process. One way he did this was to try writing his lyrics first and then to search for a melody that would fit them. Another method was to create a different voice to sing the lyrics. He looked for ways to make his voice sound and feel different, in order to temper its directness and intensity. Ultimately, he accomplished this on a number of songs on Mutineers by adjusting his technique. He sang in a softer voice than he was used to. He layered his voice by adding different overdubs and, when needed, he reached high to counter the lows. This approach is evident on the songs “Mutineers” and “Beautiful Agony.” Those are just a few examples of David’s attempt to make a new album that didn’t repeat some of the things he had accomplished on earlier albums, and producer and right-hand man Andy Barlow (from the band Lamb), made sure David stayed true to this new process. Mutineers is a somber album. It's a collection of mature songs set in a complex and warm space. Songs like the aforementioned “Beautiful Agony” (complete with the slightly John Lennon-esque production) and “Girl Like You” are fine examples of the unexplored territory David chose on this latest sojourn. It’s always refreshing to find an artist driven to mix things up and to try something different, and David Gray has done this with Mutineers. (Here’s wishing a happy birthday to David! He turned 46 on June 13th).